Clean Car Fax and 1 -Owner Vehicle!!! If Economical is what you are looking for then you found it. Affordable!!! 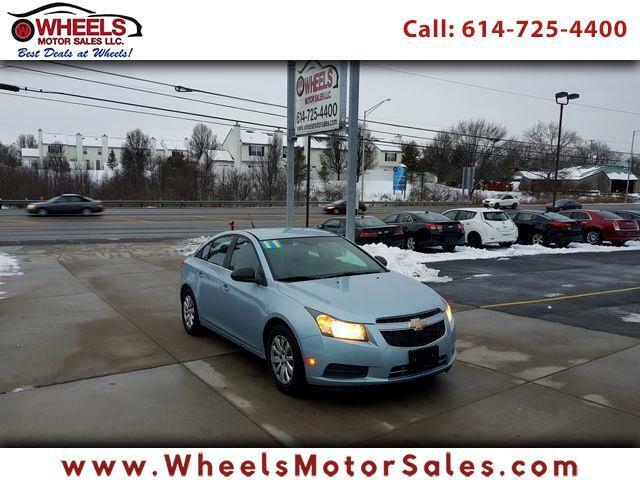 This 2011 Chevrolet Cruze Good body, and interior, good tires has 1.8 L engine. Call or email us today to get you in for a test drive at 614-725-4400 or Sam@wheelsmotorsales.com. As about a Service Contract.....View more photos and the car fax at www.wheelsmotorsales.com. If you need financing fill an application online with ease or simply give us a call.